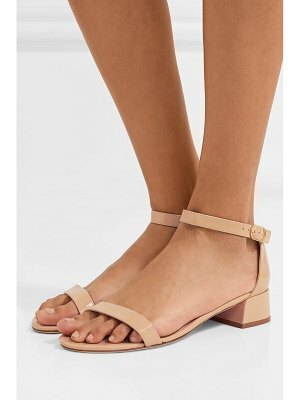 Stuart Weitzman calls its 'Nudist' sandal Hollywood's favorite stiletto - they've been spotted on everyone from Chrissy Teigen to Jennifer Lawrence. Made from glossy patent-leather, this taupe version has two dainty straps and is set on a slim 75mm heel. Wear yours for day or night.